Located on the Expo Floor, the Nightclub & Bar Show Main Stage is packed with competitions, award ceremonies and more! Main Stage entertainment runs all day Tuesday & Wednesday and is included in ALL registration passes. Keep scrolling for 2019 Main Stage highlights. Or to view the complete Main Stage and Expo Highlights schedule, click here. 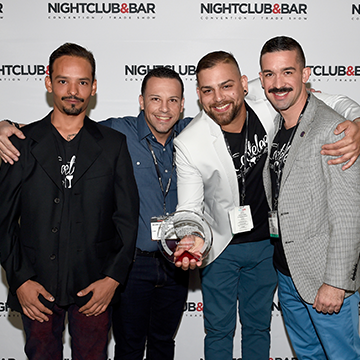 Nightclub & Bar Awards – North America’s premier industry awards program – rewards and recognizes individuals and venues from across the nation that showcase extraordinary expertise and innovation in bar, nightclub and lounge concepts that push the industry to evolve while setting new trends.